$0.99 to $61.99 & FREE Shipping on orders over $59 $35. Use for long draw systems and as an entry line to a draft box. Technical Specifications: 3/8" line provides .20 lbs of restriction per foot. Ideally pounds of resistance should equal pounds of applied pressure. 3/8" line holds 3/4 of an ounce per foot. Made from PVC. 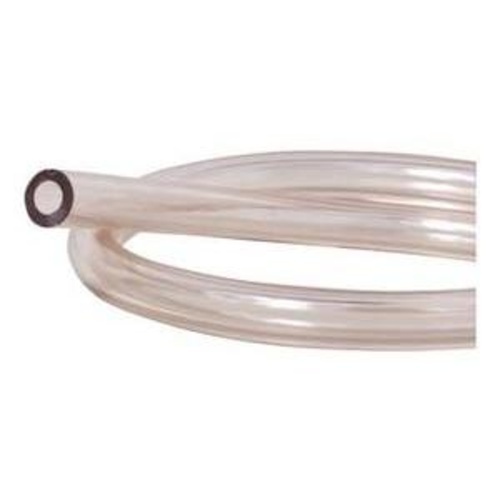 Outer diameter of tubing is approximately 5/8"
"By the Foot" quantity ordered will be shipped as a single uncut length. Maximum length available is 100 ft.